Check out a recent interview Jay and I recorded with the Kitchener-Waterloo based “The Gamers Table” in which we talk about playtesting specifically with humans and give out a ton of “protips”! Check this out! What an awesome trophy! It would look absolutely stunning on my mantle and guess what? Jay and I could win one! So, Belfort is up against 19 other games – you can check out the list of contenders and see who we’re up against. I think we stand a good chance of taking that badassed blue blaster home with us… Fingers crossed! Very cool box mock-up for our next Tasty Minstrel Games release, This Town Ain’t Big Enough For the 2-4 of Us, but this time, the Japanese version (under the “Koi” imprint)! With the interesting sub-niche of microgaming coming out of Japan, we’re hopeful that TTABE gets some loving in the land of the rising sun! Hey! Look at that! Ryan Metzler, from The Dice Tower Network, gives Tortuga a tumble and tells us what his impression of our pirate-y game from Queen is. Hope to get my copies soon so I can play, too! 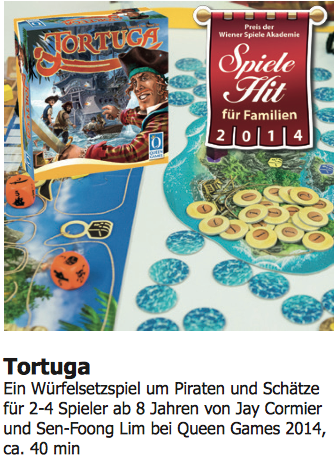 Tortuga wins Austrian Family Game award! The game hasn’t hit North American shores yet, but that hasn’t stopped it from impressing the Austrians! 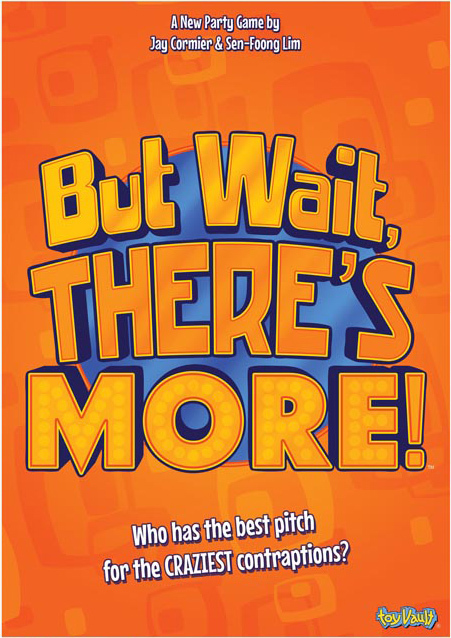 Tortuga won The Family Game Hit award for 2014! Good news!! Here’s hoping it finds similar love and appreciation when it hits US and Canada soon. For full Austrian coverage check out this link.